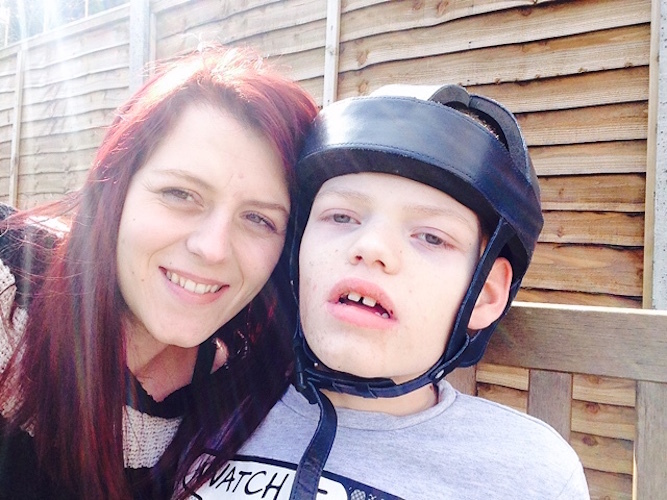 I’ve found that having a child with special needs can seem alien to outsiders at times. I get asked lots of questions, which I honestly don’t mind at all. I’m happy to answer questions; it shows people are interested and curious. I used to be one of those people who wondered what it was like to raise a child with severe disabilities. I wondered how the parents did it day after day. Not me, I would think. I couldn’t do that. But of course, when faced with it, you just do. You learn to adapt; you learn to mould. So I embrace the questions — until the one day a question was asked that I wasn’t prepared for. I smiled and replied he was doing well and thanked her for asking. After all, what else could I say? That he actually had four injuries due to his seizures that week? That my back was literally about to give way from lifting him? That I was scared because a new seizure had appeared from nowhere? That I was awake all of the previous night worrying about his latest results? No, I smiled and said what I knew she wanted to hear. Then came the question that knocked the wind out of me. “What will happen when you die?” she asked, searching my face for answers. This is one question I never ask myself. I never look too far into the future. I can’t because it terrifies me. “Sorry?” I asked, shocked at the question. I had no answers. What could I say to that? I have no idea what will happen to my son when I die. I have no idea where he will end up. I have no family that could take him. I couldn’t expect anyone to change their life as I had. The question floored me. It also scared me into thinking about the future — something I never do. Who will look after my child when I’m gone? What if my husband isn’t here either? Who will hold him, bathe him and change his nappies? Who will take him to hospital appointments and fight for him? I have no answers. I made my excuses and walked away, the questions rattling around in my mind. What sort of scenario was that to ask someone, if it would be better if my child dies before me or if I die first? The lady didn’t mean any harm, but the innocent question she asked had me thinking for months after. The truth is, I don’t have all the answers. No one does. Sometimes people get so personal when you have a child with special needs. They feel they can ask you anything. But I was so shocked by her question. I just couldn’t believe she asked it. I wish she understood that having a child with needs like this throws up so many challenges, battles and fears. Her asking that one simple question just added to my worries. I wish she asked me anything except that question. I resent having to think about these scenarios in my head. I can’t look into the future; I can only take it one day at a time. The future scares me, and to be reminded of it just brings my fears back to the surface. Vikki Hammond is 33 and a married mum of five. She is an author and shares her experiences as a special needs mom. 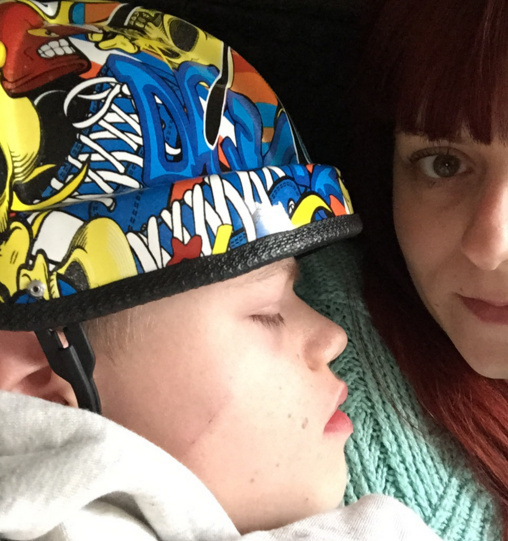 Her son Kai has tuberous sclerosis, epilepsy and autism.